This woman is local and I’m going to get her attention. Not sure how, but I’m pretty resourceful and will find a way because the steps the perpetrator is taking in trying to discredit and silence me, along with how the justice system failed in holding him appropriately accountable for assaulting me, needs to be told for the sake of helping another human being to never go through what I am being put through – I need to make something positive come from this because it’s much bigger than me. There’s a reason this is happening – I believe that with every cell in my body.The perp took me on hoping bully me through the system and underestimated my dedication and passion for doing what’s right, simply because it’s the right thing to do. He made the mistake of accusing me of lying in the forum that he has because now we have to show what is a lie, what is an opinion and what is the truth.I’ve learned to be grateful for this opportunity because it is an opportunity I have been wanting for 5 years and my heart feels peace because finally I am getting to be heard on an issue that has tugged at my heart for years. I’m going to win – I know I am going to win because I know truth conquers, and as all of the pieces are being putt together, it will tell the actual story versus the version the perpetrator is hoping to shove my throat.The #MeToo movement along with the leader of the free world being who he is has made this time an opportune time for my case to be happening. The perpetrator is a wealthy white male who is using his wealth to try and destroy me. As if the brain trauma he caused wasn’t enough. There are a lot of wonderful things happening and it has brought a touch of to calm and peace as we get into the heart of deciphering facts versus the BS he and his ex wife have spewed in trying to destroy me. He didn’t count on my attorney’s humanity to represent me Pro Bono nor did they count on my ability to fight when I am being attacked. He has no idea what’s coming because I’m no longer taking actions to protect him – I tried that and it landed me here – I am going to fight to the end because truth conquers. It’s that simple. This is about having been gaslighted for years so I am actually thrilled to finally get the chance to have the truth thrown in his face, not just by me but those who are going to be looking into all the pieces versus the ones he wants presented. As a victim of domestic violence and years of gaslighting, I could not have asked for a better ending to us. Truth conquers and that’s what keeps me going…truth matters and it conquers. There was a gift amidst my anger, pain and tears. I sought it and stayed open until I found it, and I DID! I never thought I would but I did. If you’re hurting inside, I invite you to do the same. You are worth so much more than the alternative. Rachel Louise Snyder believes the #MeToo movement has grown to encompass domestic violence. Many Americans treasure their privacy, preferring to keep family business confined to their living rooms. Unfortunately, what occurs inside a private residence frequently constitutes a public threat. In a groundbreaking new book, American University’s Rachel Louise Snyder takes an unflinching look into the dark corners of our homes and the darker recesses of our brains. Her forthcoming work, No Visible Bruises: What We Don’t Know About Domestic Violence Can Kill Us, will help rip the lid off a problem that all-too-often remained secret. Make no mistake, Snyder says, this is a US public health issue. And as horrifying as domestic violence can be, it also contributes to many other societal ills. Snyder is an associate professor in the Literature Department of the College of Arts and Sciences, and she has a part-time appointment teaching journalism in the School of Communication. Snyder says the first known domestic violence case to be prosecuted involved Herodes Atticus, a Roman-era aristocrat who was charged but exonerated for the death of his pregnant wife, Regilla. In the US—until recently—women were considered the property of their husbands. Snyder says some women couldn’t get credit cards in their own name until the 1970s, and beating one’s wife was legal in the District of Columbia until 1991. But are times finally changing? The hyper-masculine NFL has come under scrutiny over lax punishment for domestic violators, and running back Ray Rice’s elevator assault sparked genuine outrage and intense conversations. The #MeToo movement has highlighted the importance of women’s agency and autonomy. Memory loss or disorientation from abuse can make courts believe the victim is mentally unfit, and the abuser might subsequently gain child custody. These kinds of shocking details fill the book, as Snyder brings an investigative journalist’s eye to the material. But she also crafted a literary work. Inspired by socially conscious page-turners like Barbara Ehrenreich’s Nickel and Dimed and Adrian Nicole LeBlanc’s Random Family, the creative writing professor hopes No Visible Bruises reads like a novel. In addition, she interviewed just about every group connected to this issue: victims and survivors, perpetrators, district attorneys and prosecutors, domestic violence advocates, batterer intervention leaders, and others. She accompanied police on ride-alongs and shadowed Cleveland detective Martina Latessa. Snyder talks to victims—whom she defines as people still in abusive relationships—and survivors. She traveled frequently and took the time to make people comfortable. In Cleveland, Latessa offered Snyder some words of wisdom to embrace. “She said, ‘Victims are often powerless in every other aspect of their lives. So when they are finally given a chance to meet someone willing to listen and believe them, it’s empowering and life changing,’” Snyder recalls. 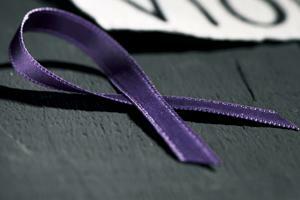 She also spoke with numerous perpetrators of domestic violence. It’s helpful to learn more about them, she argues, especially because mass shooting assailants often start with domestic targets. The first modern mass shooter, Charles Whitman at the University of Texas tower, initially killed his wife and mother. But if this sounds like FBI criminal profiling, she says there is no identifiable “type” of domestic abuser. “The very first time I went to a batterer intervention group, I was expecting this edginess to them that literally was not there. They were funny, they were joking around with each other, and I thought, ‘Oh my god, I would go out for a beer with any of these guys,’” she remembers. And she does believe rehabilitation is possible for some people. “‘What is our alternative? Why not try? We lose nothing by trying, and we lose a whole lot by not trying,” she notes. As a journalist, Snyder has broadly focused on human rights, violence, and war. She spent six years in post-genocidal Cambodia, and she moved from the study of large-scale “killing fields” to intimate partner violence. Her good friend, novelist Andre Dubus III, introduced her to his sister Suzanne, who works in domestic violence prevention. Snyder was immediately transfixed by the subject, and this became her new journalistic obsession. But this work is not without personal struggles. In 2014, her two decades of reporting on conflict and death became emotionally debilitating, and she was diagnosed with vicarious trauma. She took a year off from this type of reporting for therapy, painting, and exercise. “For people who work with traumatized individuals, this does not get talked about enough. You have to take care of yourself, or you can’t do justice to the people who are living it,” she notes. Her book will be released in May, and it’s already generating buzz. Esquire listed it as one of the 25 most anticipated books of 2019. With refreshing new gender rights discussions—and given the current cultural and political climate—No Visible Bruises is tapping into the zeitgeist. Next Next post: This is exactly what I’m going through!